Get the sultry eyed look this party season with the new Bourjois smokey eyes eyeliner! Smoky eyes are a favourite look for going out but sometimes it can go horribly wrong and we can end up looking ether a little panda eyed or like we’ve been in a fight. 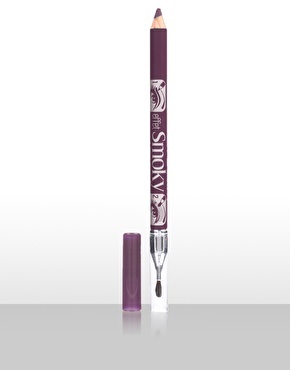 Bourjois have come up with a double ended pencil liner so that you can achieve the perfect smoky eyes. The liners come in a variety of shades so you can choose the one that best enhances your eye colour. The deep purple and brown are great for bringing out blue eyes and the green and grey shades will make your brown eyes sparkle and glisten. This product works brilliantly. The liner is a soft kohl which allows you to draw a soft line which you can then smudge with the brush at the opposite end. In terms of lastability it has great staying power and will only require one or two touch ups throughout the night if any!